View More In Housings - Page 3. 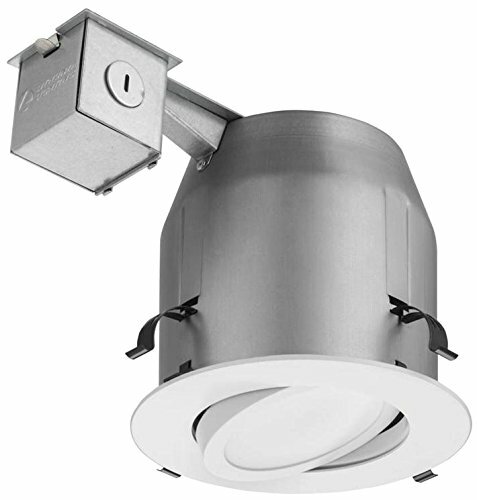 EASY INSTALLATION: Recessed Kit includes housing, integrated LED light and fixture for easy installation. This fixture must be mounted vertically and facing downwards. BUY WITH CONFIDENCE: Since your satisfaction is our top priority, this product is backed by our limited 5-year warranty policy! Just in case you have any issues or problems, our friendly customer service will be more than happy to help you! All of our products meet the highest standards for your safety only. 35,000 HOURS OF LIGHT: Made from high quality materials, these LED lights are designed to provide lighting that lasts for up to 35,000 hours of lifespan, or 16 years. Replacing your bulbs is now a thing of the past. No disturbing flickering, no inadequate lighting, extremely durable and offer safety and environmental benefits.